The young Neil Young-the earnest, folk-oriented singer-songwriter of the late 1960s/early 1970s-has come to be viewed as an almost-outsider artist with his strangely ethereal, wavering high-tenor voice interpreting songs preternaturally melancholy about such subjects as getting old, being alone and needing love. 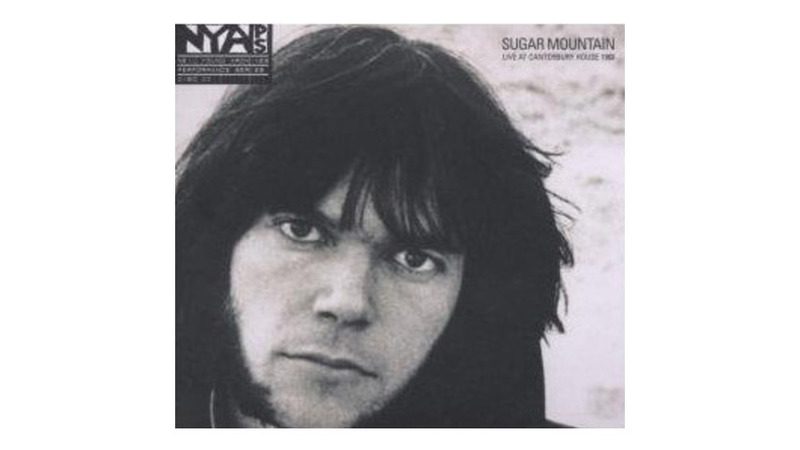 He seemed a young man out of time-which may be one reason he chose to invest so much equal time in being a more familiar electric rocker.But Sugar Mountain: Live at Canterbury House 1968occurring after Buffalo Springfield’s break-up but before the release of his first album-offers a different interpretation: Young the raconteur: a relaxed, funny and engaging stage presence capable of witty, personal monologues worthy of a talk-show host or observational stand-up comedian. Mr. Entertainment. his story about using the first residuals (royalties) from his Buffalo Springfield album sales to buy an old Bentley-currently in the repair shop-is also funny, told with dead-on comic timing. And there are more. Live at Canterbury House, the latest in a series of live recordings from his archives, is pretty simple-left track is voice, right track acoustic guitar. Simplicity, as is evident here, serves him quite well.